JANUARY 24 and 25—the 4th year students of Multimedia Arts showcased works spreading mental health awareness in an art exhibit that graced the Luxembourg Hall for two days. 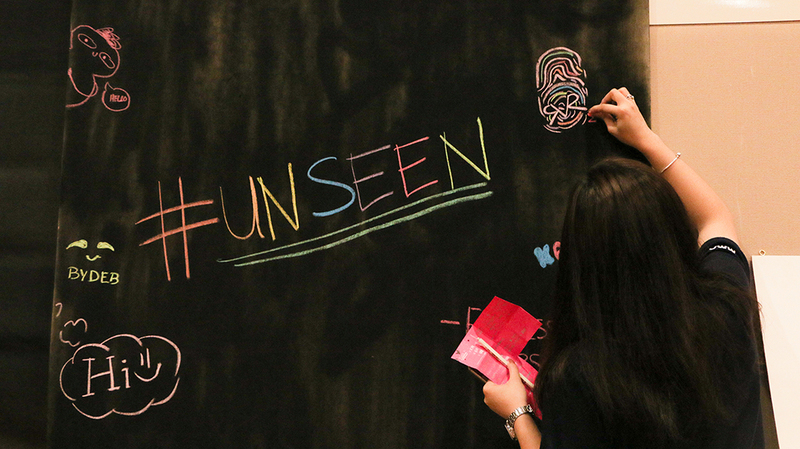 This exhibit, titled Unseen, opened for viewing at 10 AM. There was a total of 21 participating artists displaying 84 artworks, making it one of the biggest internal exhibits Southville has ever seen. Unseen is the internal exhibit of this year’s graduating class of Multimedia Arts under Mr. Mike Manansala. Artworks included photos, illustrations, paintings, videos, animations, and a sculpture. The college’s dean, Dr. Felma Tria, spearheaded the ribbon cutting while members of Southville’s administration and psychology department came to the exhibit. Prominent visitors included Southville President, Dr. Marl Ferenal, VP for Allied Schools, Dr. Beng Yague, Ms. Belen Mandin, and faculty and students of the COMMA department. Visitors also left messages on the exhibit’s freedom wall. Mental health awareness a global issue that affects the lives of millions. Unlike most health conditions, they are often hidden from the eyes of many, and they are only discovered the moment it is opened up. Because of the stigma that surrounds it, most people find it difficult to be honest about how they feel. While prescribed medicines exist, extending our love and care to those under mental conditions is vital for their wellbeing. They can use all the support they can get.